Dishwasher safe plastic stadium style wedding cups personalized with 4 lines of custom print. See what your wedding cups will look like with free instant online proofing. Available in 23 color options, these reusable plastic cups are custom printed with your choice of design or monogram the front and back. Guests will love taking their souvenir cups home to use again and again. Made of thick, dishwasher-safe, BPA free, shatterproof plastic the 16 ounce size cup size measures 4 1/4 inches high by 3 1/2 inches in diameter at the cup rim and will hold 16 fluid ounces when fully filled to the rim. A comfortable serving size per cup is 14 ounces of liquid. Popular cup color options include clear, white, black, navy blue, gold, silver, hot pink, burgundy and more. Personalize your cups with a design or monogram and up to three additional lines of custom printing. For no additional charge, have the other side of your cups printed with an additional 4 lines of custom printing. Set your cups out at your reception bar for serving beverages or at your wedding beverage station for guests to help themselves to a drink. Encourage your guests to take their wedding cups home with them when they leave the reception. Add matching lids or straws to complete your wedding cups for a great wedding take away gift. I was pleased with the color & quality of the cups. They were just as advertised. We are very happy with how the cups we ordered turned out. The company was easy to work with when I discovered I made a mistake when I placed the order and the items came in ahead of schedule. They are beautiful and of great quality. We will order from here again. I absolutely LOVE my cups! They are going to be the perfect touch and the color was exactly what I wanted! Customer service was also amazing and easy adding more cups to my order after it was submitted! Thank you so much! My guests will be able to use these party favors for years to come! 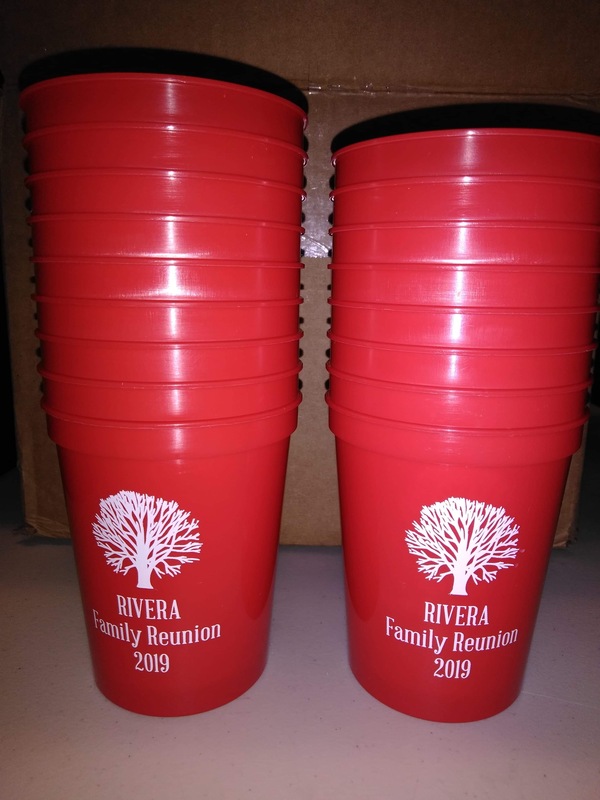 My cups turned out great can't wait for everyone at the wedding to see them. They came out so good. My party isn't til May, but i wanted to order already to make sure they were what i wanted. They are great quality, size, and exactly how I designed them online. Can't wait to see the bride and grooms face when they see them and i hope the guests take them home with them and not toss them. We purchased these cups for our daughters wedding in October. We are both very excited how they turned out and the quality of the cups. These will be a wedding favor for each guests and I know they will love them. They turned out just perfect. Thank you. It was perfect, they got here a day earlier than they were supposed to and were exactly the way I wanted them! Highly recommended! Loved the cups that I ordered...received them pretty quick, too. We ordered these for our wedding favors! They came quick and are great! I cant wait to use them in a few weeks!! We ordered cups for our guests. We are having a beach wedding, the cups will be perfect for our guest gift bags. They arrived sooner than expected. The website was user friendly. They are absolutely perfect. The price was amazing! Great these cups are sturdy and perfect~! Thank you so very much! Very pleased with the product!! So amazed in how my cups came in. Everything was such a great price, it was basically a steal. Looking forward to order again. Big thumbs up for these guys! Nice sturdy cups. Look great. Would definitely order again. After looking on various sites and getting frustrated, I found this website. Price was best out of all I looked at for my quantity. Ordering was smooth. Customizing the cup was easy. And we got the order 3 days earlier then the original date estimate which I was so pleased about. The cups looked even better in person and they are strong cups not cheap looking. We definitely will come to order Cups here in the future! 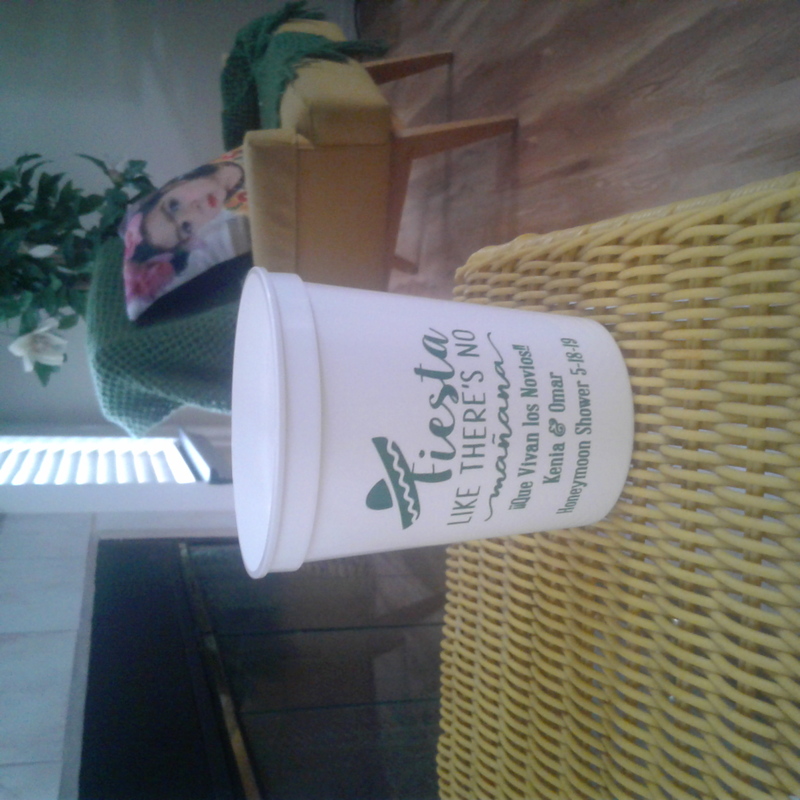 Our cup party favors made the party complete. Thank you. I just have to say that I love my family reunion cups. The cups turned out great. Can't wait to use them. Will be ordering more. Ordered some cups for my big day and they turned out perfect! They also arrived very quickly ! Great service. 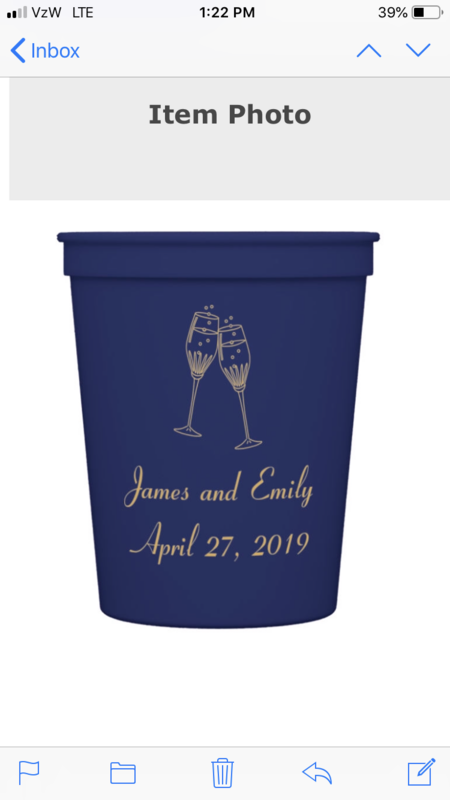 Ordered personalized cups for my daughter's wedding welcome party and everyone loved them! This cups were exactly what we were looking for. It's nice that they can be personalized fairly easily for an event. Thank you!